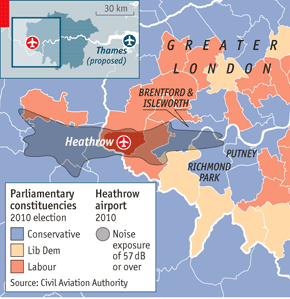 [Economist] How a row over Heathrow has become a test of David Cameron’s political manhood. AS AN opposition Tory leader anxious to throw off his party’s image as the home of rapacious Gradgrinds, David Cameron made an eye-catching pledge in October 2009. “The third runway at Heathrow is not going ahead, no ifs, no buts,” he declared, setting his party against Labour’s plans for airport expansion. Homeowners around London’s western fringe cheered. The move enhanced Mr Cameron’s green credentials—a key part of his strategy to reposition the Conservative Party as more socially aware. It also boosted the Tories’ electoral prospects in marginal seats like Richmond Park and Brentford, which are already uncomfortably noisy (see map). Alas, the days when making Conservatism sound nice was a priority are long gone. As politicians return to Westminster for a new term, the prime minister is focused on the stubbornly lagging economy, which is a drag on the coalition’s popularity and his own. Backbenchers and businessfolk think they have a solution: grant the capital’s main airport room to grow so the country can attract more business from China and other emerging economies. Tim Yeo, Tory chairman of Parliament’s energy committee, has changed his mind to favour a new runway and is loudly urging Mr Cameron to do likewise. Powerful backers like Sir Michael Spencer, a City broker, also support a U-turn. 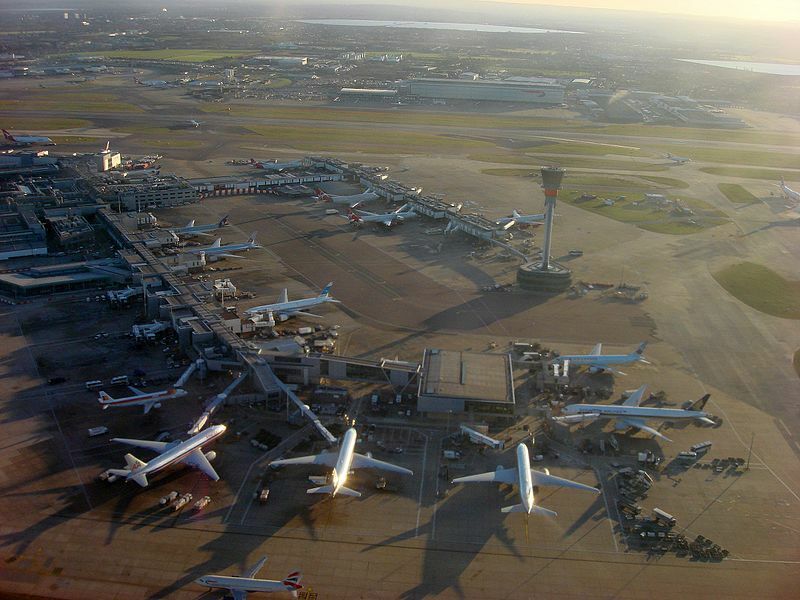 Few MPs are convinced that building a new runway at Heathrow would……. 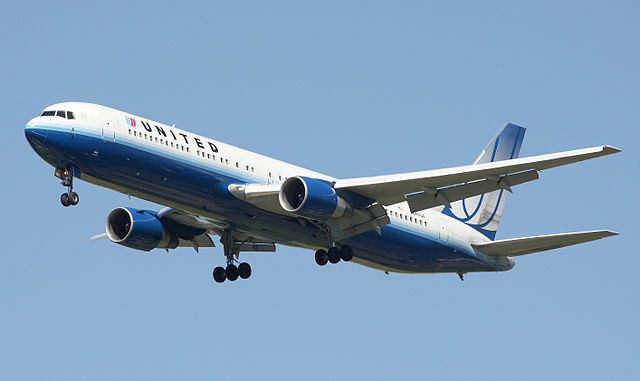 Read this full article at the Economist…..
[Independent] United Airlines passengers faced delays and massive queues today after some of its major computer systems and its website failed. 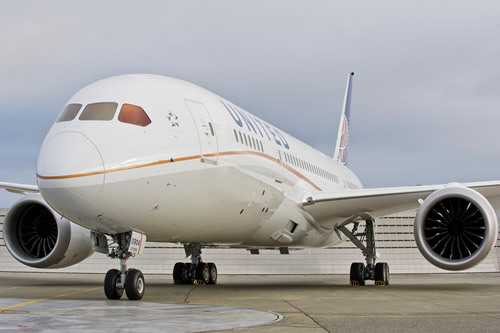 United acknowledged at least 200 delayed flights after its passenger reservation system and website stopped working for about two-and-a-half hours last night, although the precise cause was not known. The computer crash did not affect planes already in flight. Passengers in several United hubs reported very long lines at ticket counters. During the outage it stopped sending planes to its hubs in Newark, New Jersey, and San Francisco. Alex Belo was waiting at Newark to get on a flight to Mexico City. He considered himself lucky to be behind only 100 or so people waiting to check a bag – because there were another 300 to 400 behind him. “The line is not moving, or very slowly moving. 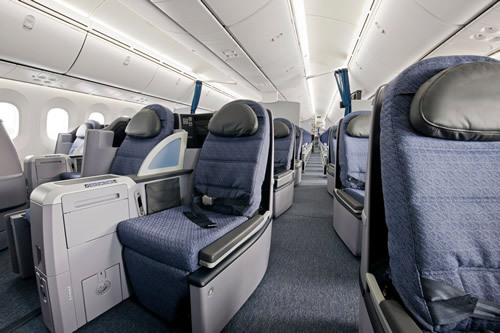 And they’re giving priority only to first class,” he said. United said it would not charge the usual change fees for passengers on affected flights who want to cancel or rebook their tickets and apologised for the disruption. Simon Duvall spent two hours sitting on his flight waiting for the computer problems to be resolved. People were calm but not happy, he said. “We’re on a plane, on the tarmac in Las Vegas in the middle of August. It’s warm. It’s uncomfortable. It’s cramped,” he said. United Continental Holdings has been struggling with computer issues since March, when it switched to…..
[Independent] Justine Greening could become the first Cabinet Minister to be removed from her job because she supports Government policy, it was suggested yesterday. Some senior Conservatives, who are in favour of building a third runway at Heathrow to boost economic growth, said that Ms Greening’s long-held opposition to the plan meant that she could not remain in her position as Transport Secretary. They suggested that with Chancellor George Osborne now in favour of a third runway it would be necessary to move Ms Greening in the planned September reshuffle to allow a U-turn to take place. However, others in Government dismissed the idea, pointing out that opposing the runway was Government policy. They added that the Liberal Democrats had been clear that they would block the move and that David Cameron said last month that Government policy would not be changing. But Richard Wellings, head of transport at the Institute of Economic Affairs think-tank, said Ms Greening’s position was “untenable”. “It is a problem having her as Transport Secretary with such a local interest in the issue; given her critical views on Heathrow expansion, it would make sense to replace her,” Mr Wellings told the Financial Times. The Government is expected to publish its long-awaited consultation into airport expansion in the South-east in the next couple of months. While that will not specifically rule out a third runway – and ask for supporters to make a case for it – it will make clear that Government policy is to look for other……. Read the full story at The Independent…..
[BBC News] A body has been found inside a jumbo jet landing at Heathrow Airport. The body was discovered in the landing gear bay of a British Airways Boeing 747 after it arrived at the London airport from Cape Town, South Africa. BA said it was liaising with South African authorities over the discovery, which was made at about 06:25 BST on Thursday. He continued: “We are liaising with the South African authorities and Cape Town airport after a body was found in the landing gear bay of one of our aircraft. The death is being treated as non-suspicious. Inquiries are being made to establish the man’s identity. 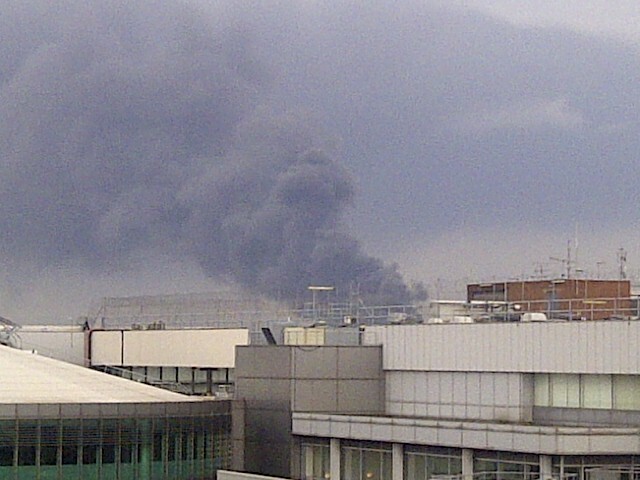 [Airport Informer] A huge fire is currently being tackled by Fire Services adjacent to Heathrow Airport. The nearby main A4 road has been closed and diversions are in place. The fire is raging in a tyre depot which is next to the main road and is causing delays to passengers bound for the airport. It is thought by airport insiders that the density and proximity of the black smoke plume to the runway will cause problems for air traffic at the Heathrow. A huge plume of black smoke can clearly be seen for miles across central London and can even be spotted from the area near the Olympic stadium. Updates can be found at LBC – lbc.co.uk…..
[BBC News] Virgin Atlantic is to begin a short-haul service between London Heathrow and Manchester from next March. 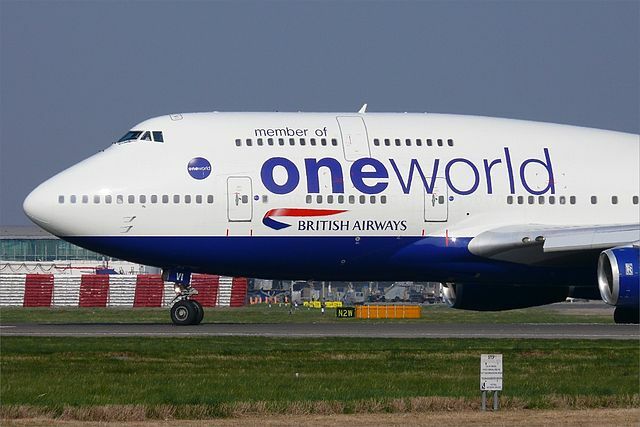 The airline says its first foray into the UK domestic market will provide competition for British Airways. It will also provide a regional link for passengers using its long-haul services from Heathrow, it says. Virgin denied the move was a response to Virgin Rail being told it was losing the West Coast Mainline franchise that covers London to Manchester. The franchise, held by Virgin since 1997, will be taken on by FirstGroup later this year, the government announced last week. Virgin Atlantic chief executive Steve Ridgway told the BBC the move was about increasing choice for UK passengers. 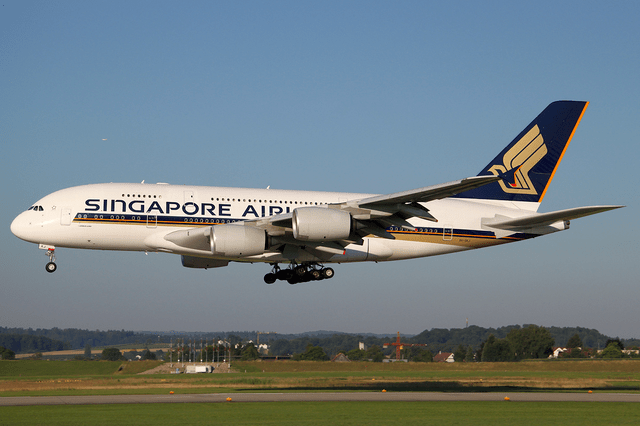 “Since BMI was swallowed by BA, competition in domestic routes has disappeared,” he said. BA-owner International Airlines Group bought BMI earlier this year. By offering access to the international hub Heathrow, the new route was about “keeping Manchester and the North East connected with the rest of the world,” he added. The airline says it will operate three daily flights to Manchester using Airbus A319 aircraft from 31 March 2013. Initially, Mr Ridgway said these aircraft would be leased. Virgin says that 65% of people who fly from Manchester to London then connect on to another long-haul flight, and they want a share of that market. 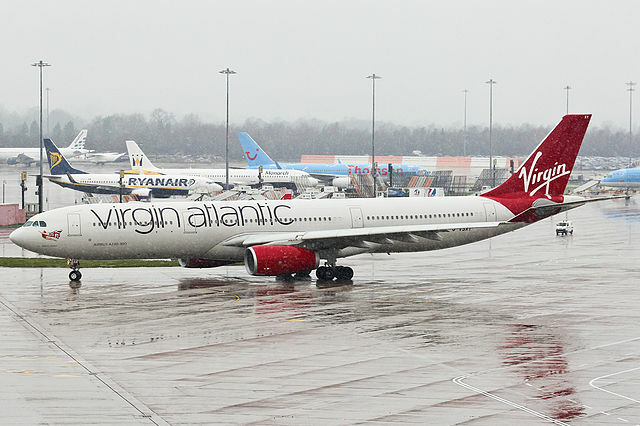 Manchester Airports Group said Virgin was already a strong carrier at the airport with long-haul routes to Barbados, Orlando and Las Vegas. “We aim to support our airlines as they look to grow and we hope the success of Virgin’s domestic services will lead to further expansion at Manchester,” said Ken O’Toole, chief commercial officer at Manchester Airports Group (MAG). Virgin Atlantic was founded by Sir Richard Branson, and is 49% owned by Singapore Airlines. Earlier this month it reported an annual loss because of higher fuel prices. The carrier made a loss of £80m in the 12 months to the end of February, compared with a profit of £18.5m a year earlier. BA said in a statement that it was “confident that our excellent customer service and great value fares will continue to set the standard in UK short-haul aviation”. See the original story and interview at BBC News . . . . .